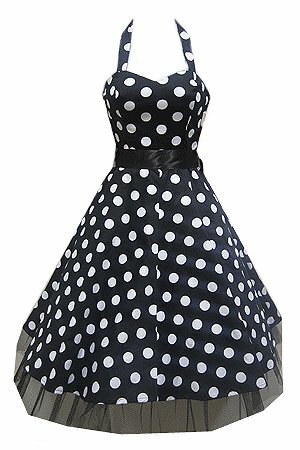 Cute black cotton 1950's rockabilly dress with large white polka dots. 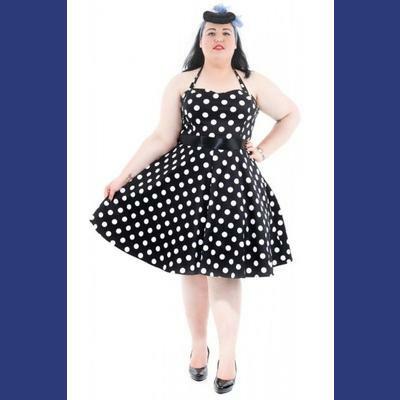 The 1950's dress has adjustable halter straps and a fitting sweetheart bodice with black satin ribbon to cinch the waist. There is a concealed zip to the side and the upper back of the dress is elasticated. 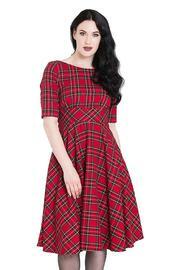 The full circle skirt of the dress flares from the waist and is approx 60cm from waist to just below knee. 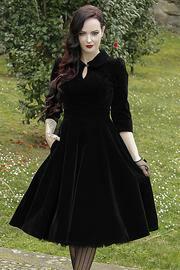 Beneath the skirt is a black cotton skirt trimmed with black net which is visible below the main skirt and adds a little volume. 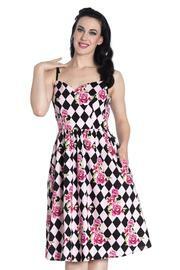 The dress is made from black 97% cotton with 3% elastane giving it a slight stretch for the perfect fit. 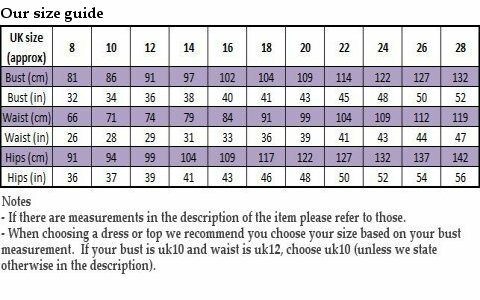 Sizes uk8-16, plus sizes 18-26. This dress is truly a god sent!! Has a top heavy girl, finding a dress that fits on top can be quite difficult. But this dress fits perfectly!! Feels amazing & looks great! Delivery was amazing also, came super quick! Very happy customer here!